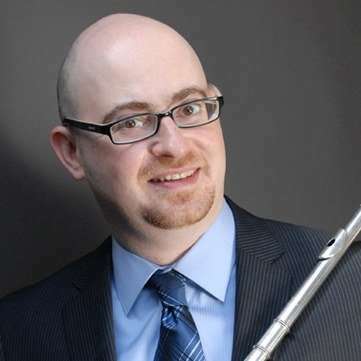 NYC flute teacher, Yevgeny Faniuk enjoys a regular and versatile career as a flautist in the New York City metropolitan area. He is a frequent guest-member with the Metropolitan Opera Orchestra and New York City Ballet. Yevgeny also plays principal flute with the Reading Symphony orchestra in Reading, Pennsylvania and performs regularly with the Albany Symphony and Princeton Symphony. Yevgeny has also performed as a substitute musician with the Israel Philharmonic and the Russian National Orchestras. Yevgeny has been a prize winner of numerous competitions, including the Flute Talk Competition in the US, the 1st Haifa International and the Jerusalem Young Artist Competitions in Israel. He is an enthusiastic flute teacher with an extensive experience of working with children and adult students of all levels. If you are interested in flute lessons in NYC with Yevgeny, please contact us at Riverside Music Studios! READY TO START Flute LESSONS IN NYC?